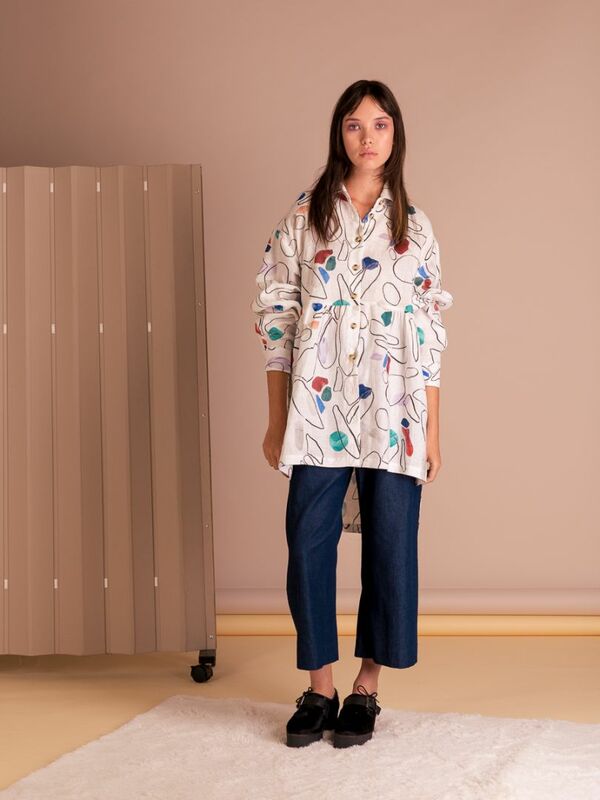 This classic oversized shirt features an exclusive hand illustrated print in a abstract inspired design. By using a mix of mediums such as charcoal and collage, this pattern is full of eye-catching tones and movement. Details include button up front, waist gathers, side splits and a high low hem design. 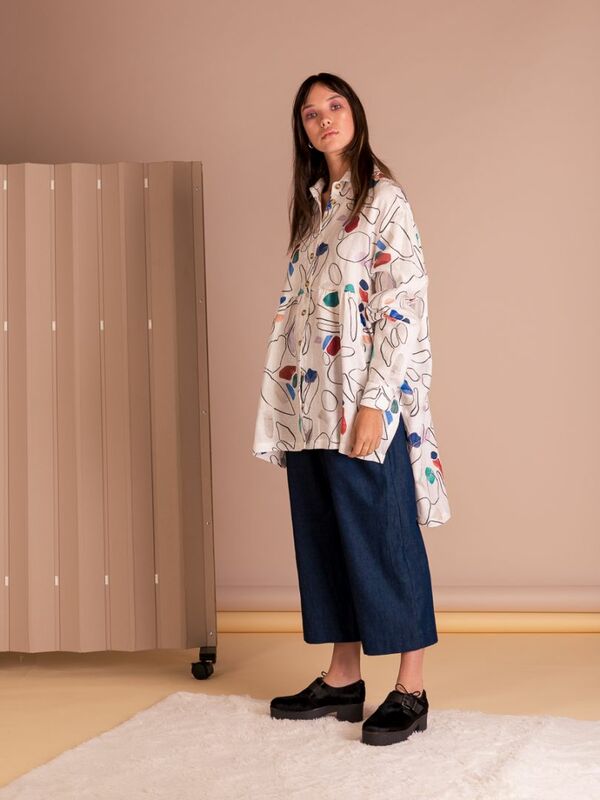 Simple lines form the shape of this shirt, making for an easy fit that can be dressed up cinched in with a belt or worn casually with a pair of our Harper Pant (as shown). A unique print, designed and made in Melbourne.